The Run Series models use proven, reliable four-stroke ReadyStart petrol engines. Even on chilly mornings, they start straight away thanks to an automatic choke system that works just like the one in your car. Readystart - The READYSTART® engine system allows for simple starting with the recoil rope thanks to an automatic choke.No priming, no choke, no problem! Handle bar - The pleasant rubber coated handlebar ensures that the operator can truly enjoy gardening activity. Of course the handle bar height can be adjusted for different operators. Textile Bag - Equipped with a big textile bag to allow maximum airflow and therefore provide an impressive collection ability. It also allows for easier storage and less damage opportunity than a convential plastic box. 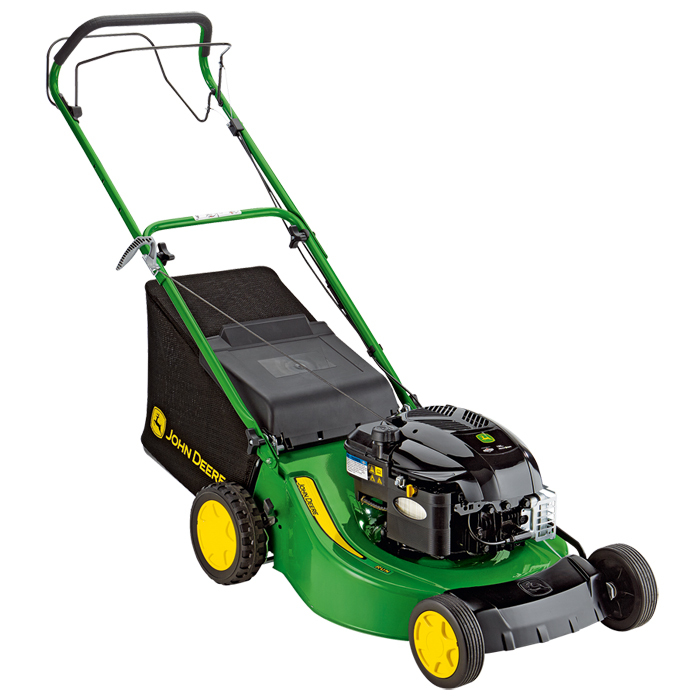 Single Speed - A single speed drive system means the lawnmower is easy to use and no manual pushing effort is required. Simple Height of Cut Adjustment - The cutting height is quickly adjusted with the central height of cut lever. Mulching Capability - Easily convert your machine from collection to mulching with the addition of an optional mulching kit. 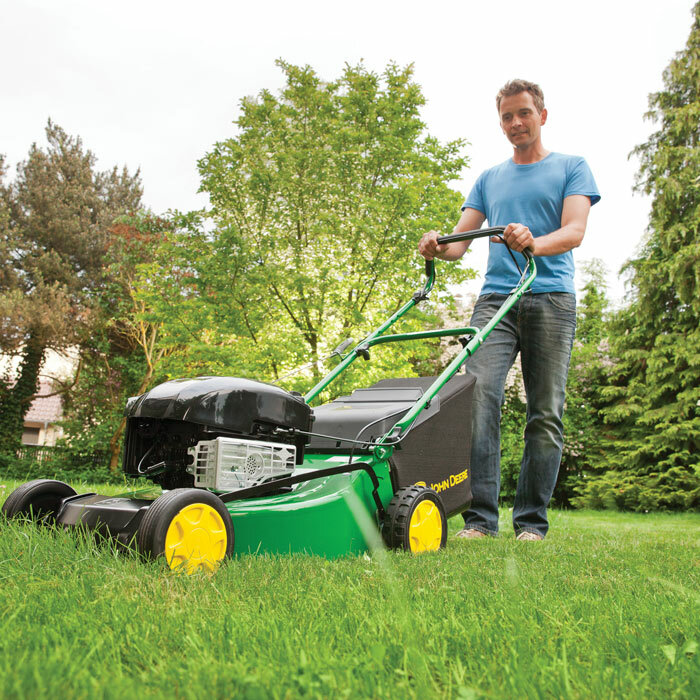 Mulching allows you to cut and process the grass without the need to collect. This is achieved by the clippings being cut and recut before being blown back into the lawn.